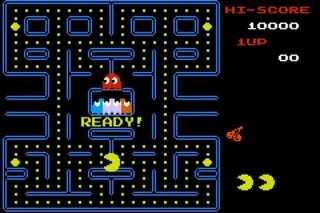 Just in time for the arrival of next-gen consoles, residents in the town of Marshfield, Massachusetts are going to be able to play Pac-Man publicly for the first time in over three decades. According to a report from local newspaper The Patriot Ledger, Marshfield residents voted to overturn a 1982 bylaw that banned coin-operated arcade games in local businesses late last month. At 203-175, the vote was surprisingly tight. It was just as divisive an issue back in 1982—apparently, the issue was only laid to rest a year after the ban was first put in place because the Supreme Court refused to hear an appeal. Not only that, it was actually upheld on two separate occasions prior to the April 2014 decision—once in 1994 and again in 2011. The fact that games like Pac-Man are still outlawed might seem strange, to say the least. Kotaku's own Luke Plunkett sounded like he was pretty taken aback when he wrote up the news of the last unsuccessful attempt to overturn the ban. But regulations like have been a surprisingly common (albeit comical) issue in the U.S., Robert Jarvis, a Professor of Law at the Shepard Broad Law Center at Nova Southeastern University and all around expert on the subject of gambling law, explained to me for a story I wrote a while back about the strange legal loopholes that claw games often fall into. The concern that town councils often have, Jarvis explained to me at the time, is that arcade games essentially act as a kid-friendly version of slot machines. And even in cases where residents aren't bothered by the idea of fishing for stuffed animals or playing a few levels of Time Crisis, certain games might still be prohibited if they fall under the classification of "games of chance" (i.e., gambling) as opposed to a "game of skill." Some states have had to draw up special provisions known as "Chuck E. Cheese laws" just to protect kid-friendly arcade games from the prohibitions that are placed on commercial gambling. According to The Patriot Ledger's report, it sounds like dissenting Marshfield residents were more annoyed at the prospect of having family-friendly restaurants inundated with noisey arcade games. One woman who was opposed to the proposal described her nightmare scenario to the Ledger: "There is gaming all over the place, and there's nothing fun about it." Ultimately, residents were won over by an appeal to freedom. Resident Dave Will explained his support for overturning the ban by saying: "Do we want the town to make the decision for restaurants, for where we go to eat, or do we want people to decide where we eat? I don't like the idea that the town is telling establishments and people what they can do." Game on, Marshfield. Game on.